There's not other way to say it, I freaking love Oreo recipes. They're always easy and always delicious. 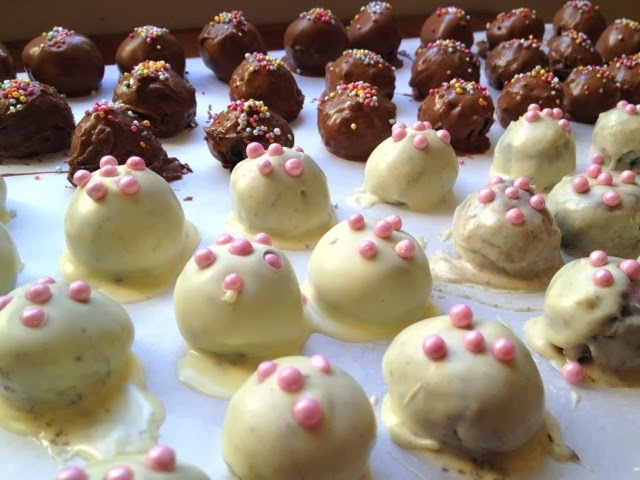 I made these deadly rich Oreo truffle balls over Christmas for a family dinner and family lunch. There wasn't a member of either family with the willpower to stop at a single Oreo truffle. 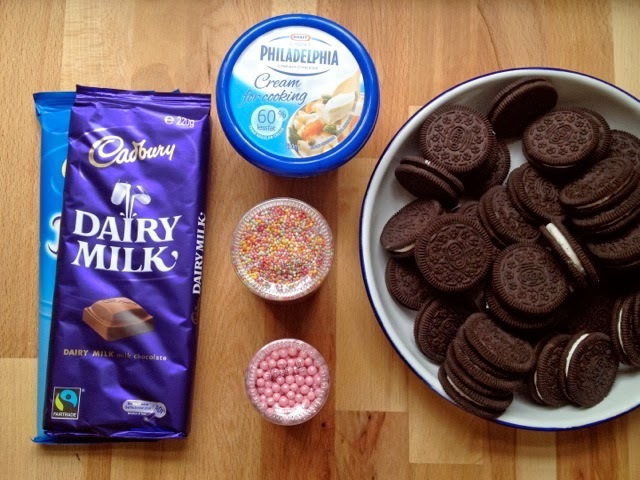 The reason I love this super easy dessert recipe is because it’s no-bake and there are only 4 ingredients: chocolate, Oreos, cream cheese and sprinkles. The middle of the Oreo truffle has the kind of thick, fudgy density that coats your teeth and makes you embarrassed to smile—a telltale sign of a killer dessert. Kids love ‘em. Adults love ‘em. And if chocolate didn't have the potential to make man's best friend horribly ill, the dog would love ‘em too. 1. 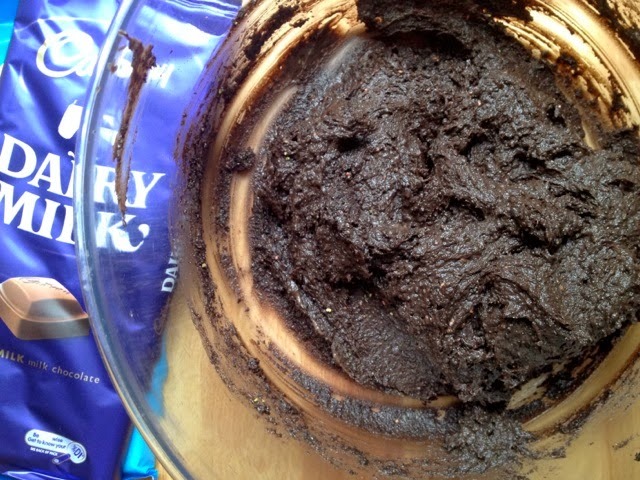 Put the Oreos in a blender and mix until fine crumbs form. Alternatively, put them in a Ziploc bag and smash the hell out of them with a rolling pin until fine crumbs form. 2. Add the cream cheese to the Oreos, one heaped spoonful at a time, until mixed. 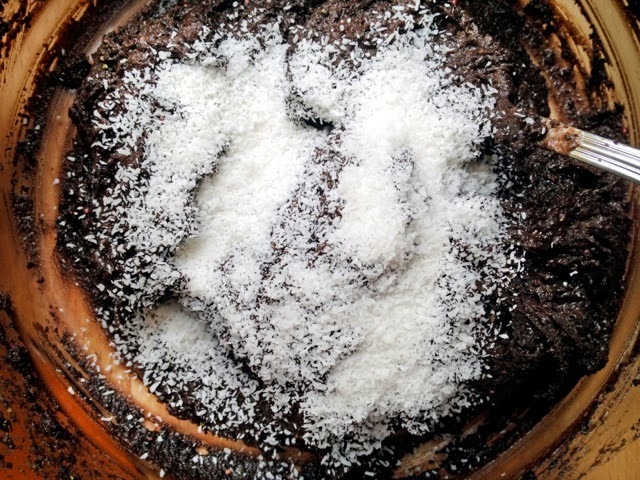 If desired or if your mixture is too moist, add some desiccated coconut. 3. 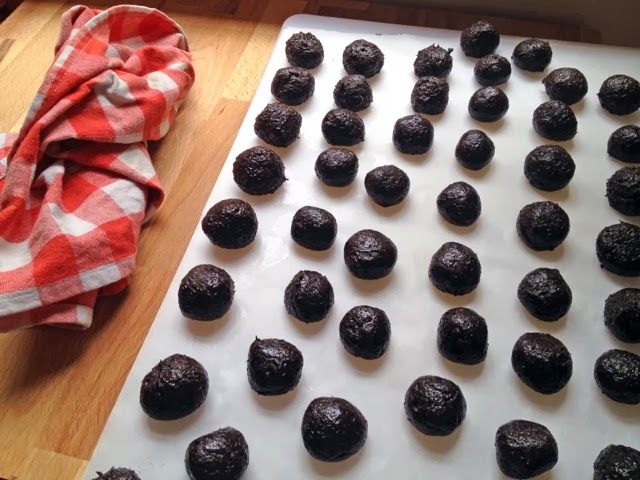 Roll the mixture into one-inch balls (the size of a large cherry, or for that matter, a small sugar plum) and pop in the freezer for a minimum of 1 hour. 4. Break up chocolate and either melt over a flame or in microwave, being careful not to burn it. 5. Line a tray or chopping board with baking paper while chocolate melts. 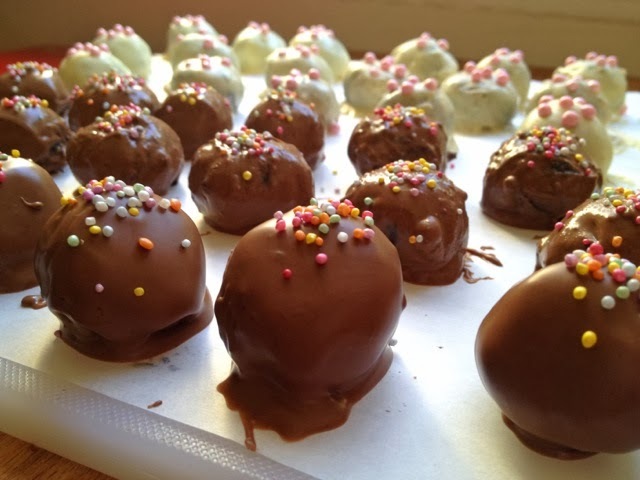 Take 5 or so balls out of the freezer at a time and dip them in the melted chocolate, placing them on the tray once you've done so. I used two forks to let the excess chocolate drip off, but next time I think they’d work well as cake pops (plus inserting skewers into the bottom of each Oreo truffle would make the dipping situation a whole lot easier). 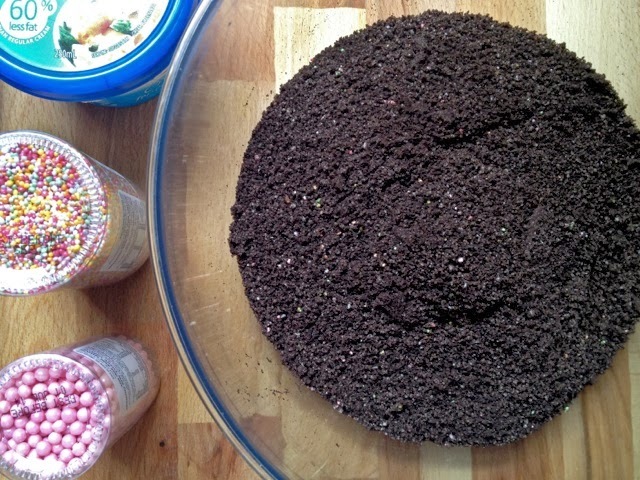 Sprinkle with decoration of choice before the chocolate sets. 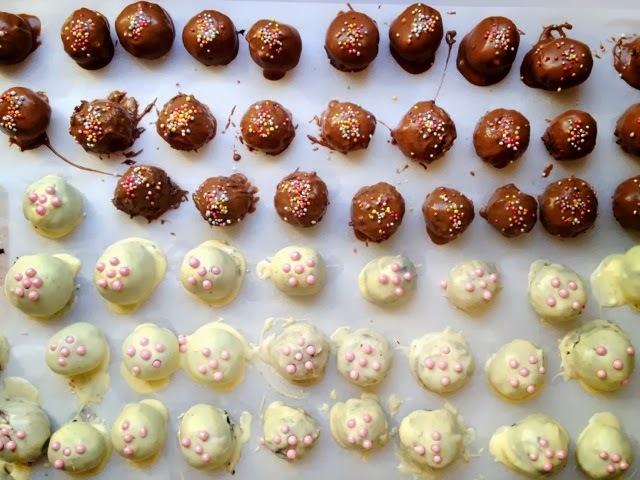 It’s important not to take all the balls out of the freezer at once, as the chill helps the chocolate to set and keeps the balls in one piece. 6. 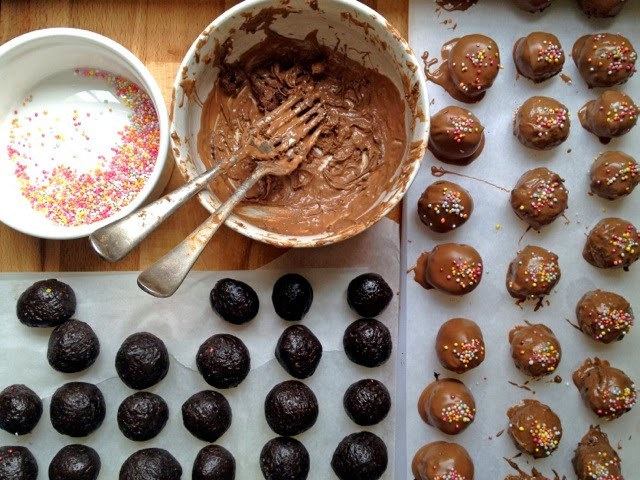 Put the Oreo balls in the freezer for another hour, or until they set. And that’s it! You can keep them in the freezer for months, too. 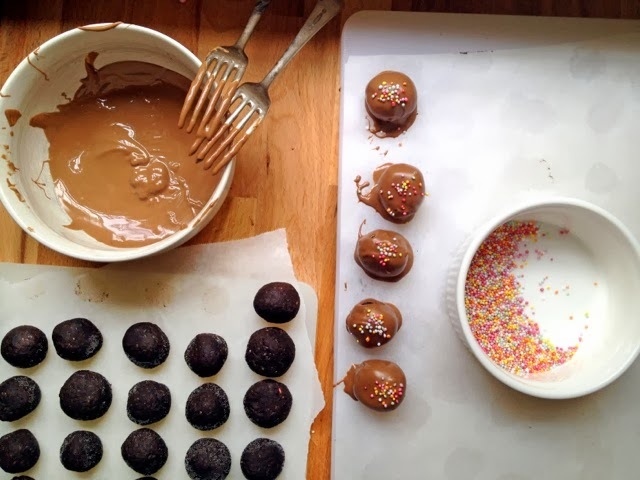 These chocolate Oreo truffle balls are the perfect after dinner party treat and also make a great gift. Try putting them in jars and tying ribbon around them. Cute! Cute! Love the ease and simplicity too. Thanks! You can always try a game whenever you feel bored or upset . And for that nothing can be better then a solitaire card game and if your wondering that you don't have a cards to play , guys you can get this game from this online site and not only this but you can also play the solitaire game directly on this website .